(b) its announcements dated 6, 12, 13 and 17 December 2018 in relation to the shipbuilding contract dated 12 December 2018 between FSL-28 Inc., and COSCO Shipping Heavy Industry (Yangzhou) Co., Ltd. (the “Shipyard”) and the shipbuilding contract dated 12 December 2018 between FSL-29 Inc., and the Shipyard (together, the “Definitive Agreements”) pursuant to which the Shipyard will construct, sell and deliver two (2) 114,000 dwt scrubber fitted Tier III LR2 product tankers to FSL-28 Inc. and FSL-29 Inc. (the “Borrowers”) for an aggregate consideration of US$97,600,000 (the “Newbuilding Acquisition”). FSLT wishes to announce that the Borrowers, each a wholly-owned subsidiary of FSLT, have entered into a bridging loan agreement dated 7 February 2019 with FSL Holdings Pte. Ltd. (the “Sponsor” or the “Lender”), as lender, and the Trustee-Manager (the “Guarantor”), as guarantor, pursuant to which the Sponsor has agreed to extend a secured, interest-bearing bridging loan of an aggregate principal amount of up to US$25,000,000 to the Borrowers (the “Bridging Loan”). The Lender is the Sponsor and controlling unitholder of FSLT. As of the date of this announcement, the Sponsor holds, directly and through the Trustee-Manager, its indirect wholly-owned subsidiary, an aggregate interest in 157,877,631 units in FSLT (“Units”) representing approximately 24.77% of the issued Units. The terms and conditions of the Bridging Loan were negotiated and agreed upon by the parties on an arm's length basis. Purpose : The proceeds of the Bridging Loan shall be used for the purpose of partially financing the Newbuilding Acquisition. Drawdown : The Bridging Loan shall be available for a period of 6 months from the date of the Bridging Loan (the “Availability Period”) and the Borrowers shall have the right to drawdown on the Bridging Loan in a single or multiple tranches at any time during such period by providing a drawdown notice to the Lender. Interest : LIBOR plus 4.0% per annum to be paid in 12-month intervals (or any other period agreed between the parties) to be calculated on the amounts drawn from the date of such drawdown. No interest or commitment fee to be charged on undrawn amounts during the Availability Period. Term : Date falling twelve (12) months from the date of drawdown of the Bridging Loan. Repayment : The Borrowers shall repay all outstanding amounts under the Bridging Loan on the date falling twelve (12) months from the drawdown date (the “Maturity Date”). Prepayment : The Borrowers may prepay all or any part of the amounts outstanding under the Bridging Loan without prepayment fee, penalty or premium, provided that the Borrowers have served not less than 7 days' (or such other period as the parties may agree) notice in writing of such prepayment to the Lender. The Bridging Loan is a short-term loan which will be used to partially finance the aggregate consideration for the Newbuilding Acquisition and for working capital purposes. The Lender is a controlling unitholder of FSLT and is therefore an “interested person” for the purposes of Chapter 9 of the Listing Manual. (c) no portion of the Bridging Loan is prepaid by the Borrowers at any time prior to the Maturity Date. The value of the interested person transaction (“IPT”) in relation to the Bridging Loan represents 1.01% of the Group's latest audited net tangible assets (the “Group NTA”) of approximately US$173.70 million as at 31 December 2017. As the value of the IPT in relation to the Bridging Loan is less than 3% of the Group NTA, there is no requirement for an announcement of the Bridging Loan as an IPT under Chapter 9 of the Listing Manual. 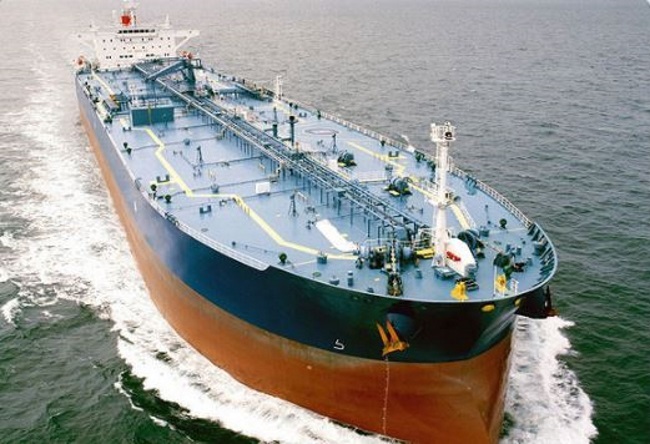 Other than the Bridging Loan and the payment of ship-management fees by the Trustee- Manager to Prime Tanker Management Inc., an affiliate of the Lender, amounting to US$170k in FY2018 and US$42k in FY2019 to date, there are no other interested person transactions entered into by the Group with the Lender or its associates for the financial year ended 31 December 2018 (up to the date of this announcement). The Audit Committee of the Trustee-Manager is of the view that the Bridging Loan has been entered into on normal commercial terms, and is not prejudicial to the interests of FSLT and its minority unitholders. Mr Efstathios Topouzoglou, the non-independent, non-executive chairman of the Trustee Manager, and Mr Michail Chalkias, the non-independent, non-executive director of the Trustee- Manager, are directors of the Lender and the ultimate beneficial shareholders of the Lender. Save as disclosed herein, none of the directors or controlling unitholders of the Trustee- Manager and their associates has any interest, direct or indirect, in the Bridging Loan, other than through their respective unitholdings in FSLT. Source: FSL Trust Management Pte. Ltd.